When it comes to creating or revamping your PT practice’s website, many owners wonder what content is relevant or important. Some are concerned about the sustainability of that content—how often would you need to update it, is it applicable year round etc. There are pages that your website needs as a baseline, those recommended by digital marketing best practices, and some that may be completely custom to your practice. There is also something to be said about the overall number of pages on a site. Think about when you are looking up a new restaurant, do you want to have to click through 10 pages to find the menu or would you rather have a set choice of options to streamline your browsing and search experience. On the other hand, some sites have so few pages that either all the content is jumbled together on the same page or there is not enough content for the pages and site to be credible or informative to the viewer. Download our free PT Website Checklist for more Patient-Attracting Tips! Let’s go through what pages you must have, should have, and should avoid if possible—all of which contribute to an informative, well-managed PT practice website. This is the main page that most users will land on. This page should be informative, well designed (aka. pretty images), and helpful to prospects, current patients, and doctors. This is often the 2nd most viewed page on any PT clinic website. This page should explain your practice’s mission, expertise, history, and call out any specialties or affiliations. This page tells your viewers what services you provide in a comprehensive list with short (1-2 sentence) blurbs. Include links to longer pages that address each service individually for those who want more information. This is your gateway to getting new patients. If someone wants to see you for PT, they will need your phone number and address (a Google map helps too!). Also, include a contact form for people to make appointments, ask questions (especially if it’s after office hours). These pages help to tell the story of your practice to viewers online. For some, this might be the only glimpse they have into your clinic and the care that they can receive. It is important to spend enough time and resources on these pages so that their content is helpful and informative to the online viewer. Your website also needs to market your clinic–highlight your services, specialties, and achievements with appropriate text and imagery. 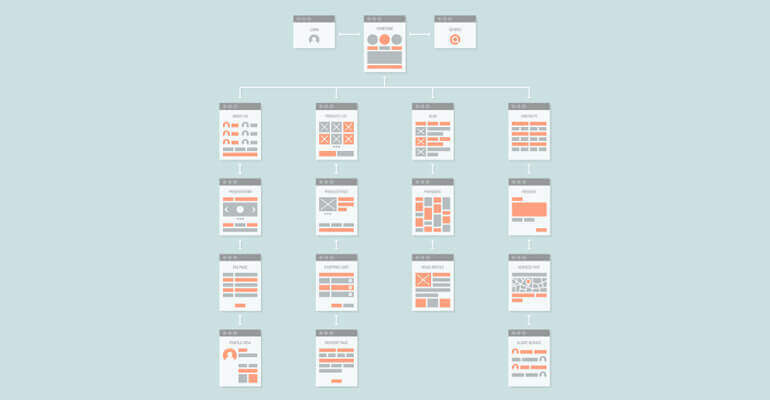 Want more ideas for your website’s pages? Our web design team has built custom, responsive websites for hundreds of physical therapy clinics across the nation. Check out our portfolio today!